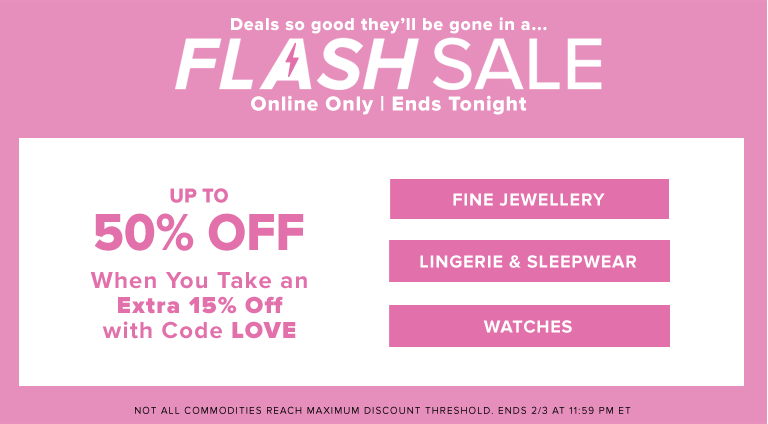 Hudson’s Bay Canada has an awesome online flash sale available today only, where you can save up to 50% off on fine jewellery, watches, lingerie and sleepwear, when you take an extra 15% off with the promo code LOVE at checkout. This Flash Sale is available online only, today, February 3, 2019 untill 11:59 pm ET. Save 60% off Distinctly Home Mariposa Wing Chair in charcoal and get it for $319. Plus, Save 60% Off Other Select Accent Chairs & Up to 55% Off Furniture. Also, today is the last day to shop online today at Hudson’s Bay Canada and save an extra 25% off clearance for a total savings of up to 80% off. To get your extra discount, enter the promo code DEAL at checkout.